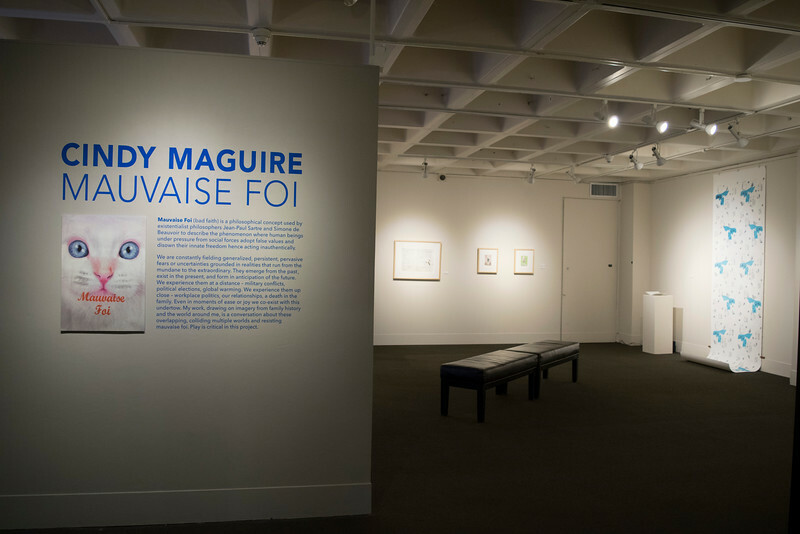 Mauvaise Foi is an exhibition spotlighting the work of Associate Professor Cindy Maguire which she created while on sabbatical spring of 2016. Works on view will include a variety of mixed media and interactive digital media. This exhibit, which is open to the public, will be held in the Ruth S. Harley University Center Gallery from November 13 to December 18, 2016. A reception with light refreshments will be held on November 30, 2016 from 5 to 7pm.